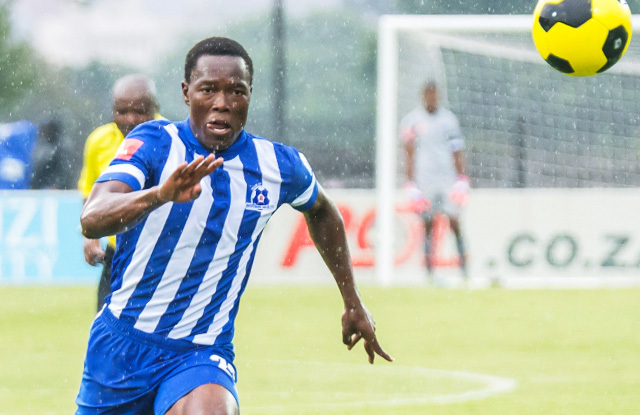 Still left with time to climb off the foot of the table, Maritzburg United winger Philani Zulu is calling on his team-mates to treat every match like a cup final. Maritzburg have 12 games left to play this season after their 101 draw with Platinum Stars on Saturday, while the teams just above them – Tuks, Cosmos and Polokwane City, have each played one match more. The Team of Choice showed character to bounce back from going 1-0 to Dikwena, as Evans Rusike kept his good scoring form alive with a well-taken headed equaliser. “We are last on the log but that doesn't mean we should keep our heads down," Zulu said after the game. “We have to play each and every game like a final. We have to play until the final whistle. Every step we take, it’s about going forward, trying to win every game,” he said. Maritzburg coach Ernst Middendorp says that he felt that the current situation got to his players at times, but added that he could see some positives in the second half especially. “It is not unusual to be tense, having lost the last three games. Knowing that you need a win,” he said. “The team deserved a positive result. Coming back from 0-1, we kept the structure, some good moments in the second half with shots where I would say if they could have been on target, then there would have been no chance for the goalkeeper.